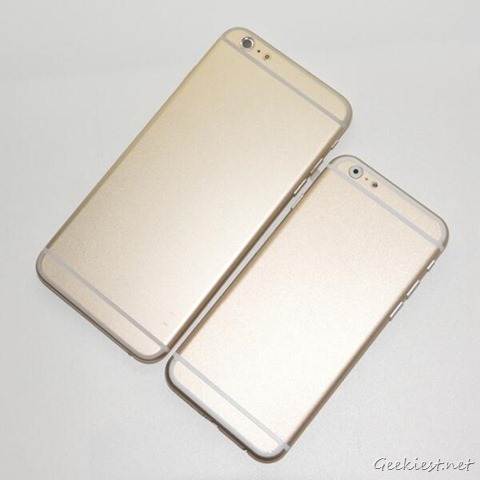 Two new images of Apple’s upcoming Phones were leaked on Twitter. 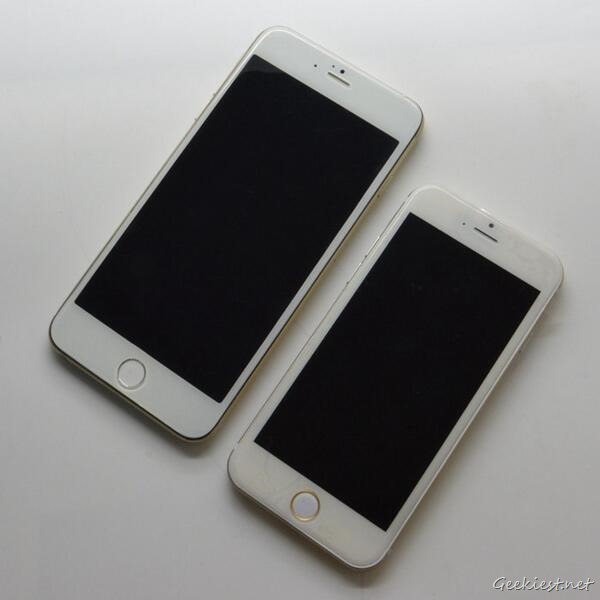 The images show the 4.7 inch version of the iPhone 6 next to the 5.5-inch phablet version. Both phones look similar in design, with the power buttons and the volume rockers located on the left side of the phone. The cameras have a new Flash design too. There is a new hole, next to the FaceTime camera on the front of the phone. The images do not have the Apple logo or branding. So, we advise you take these pictures of the dummy units, with a pinch of salt. Apple are expected to officially launch the iPhone 6 later this year. With the market flooded with several Android phablets, Apple would do well to throw in their hat into the ring.